The Aftermath of a Breakup: Mad Clown's "Without You"
Borrowing vocals from K-pop diva Hyorin (of Sistar,) Mad Clown has recently made a comeback with “Without You.” This heavy hip-hop focused tune, tugs at the heartstrings of its viewership and the MV follows through with grand claims of exposing the dark side to a destructive love. The hourglass is turned, the metronome starts ticking, he pours himself tea for two and sits down on the sofa. 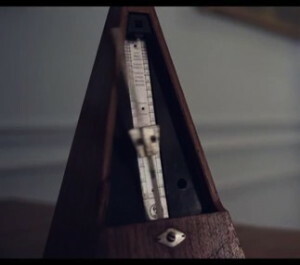 The metronome — being an indicator of time — leads the viewer to believe that our protagonist is waiting for something. This waiting period, is something that the unaware viewer will have to deal with for the rest of the MV. We are forced to feel the weight of the passing time, just as our protagonist is. Flashbacks play an important role in the MV; not only do they comprise of at-least 70% of the screen time, but they alter the mood of the MV immensely. Presenting the flashbacks against reality, makes it obvious he misses his lover. He plays chess on his own, and is reminded of the times when he played chess with her. He is slouched on the ground, limp and lifeless shining a beam of light off a mirror reminiscing of a time when she used to playfully tease him with the same object. He tries to draw – a passion that was fiery and alive when he was with her — and is unable to for his muse is gone. The hourglass is important to the progression of the plot, as it marks how much time has progressed. We see it appear a few times in the MV (along with the metronome,) to make it known to the viewer that time is still passing by, and each day/hour/minute that passes is spent without his lover. Though still ambiguous, the span of this breakup has spread farther out than the viewer could imagine — making his inability to come to terms with the break all the more saddening. The final time the hourglass is shown precedes another flashback (of them spending time with each other,) which proves to be mind boggling. This shot hangs on the precipice of his state of mind; will he deal with his loss or not? The latter road is taken, as is expressed by the male lead breaking his TV viciously screaming out in frustration, juxtaposed with shots of him smiling in the past as the floodgates of his memories open and drown him. This rapid scene explains a few other motifs present earlier on in the MV such as the broken glasses he puts on. Choosing these specific glasses from an array of better looking and intact frames, the lead hints at some special place they must have in his heart. The obscureness is silenced whence we see a climatic fight taking place between the two leads in which the girl knocks the glasses of of his face, breaking them. 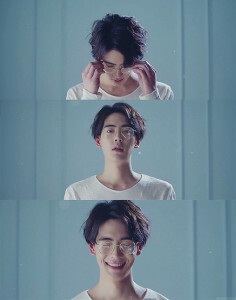 Leaving the explanations till then end, serve not only to keep the viewers attention throughout the MV, but also serve as the only reminder of his relationship; broken glasses, mean a broken relationship. As we reach the peak of the song, the cinematography shifts from being a slow-motion reel to a jagged and disjointed mess of flashes and glares. The earthquake that ensues reflects the tempest in his head; his difficulty in dealing with the situation. 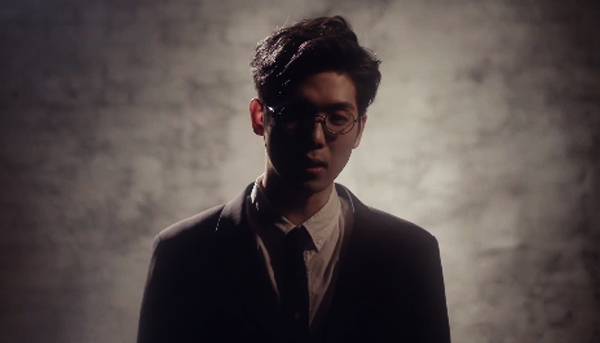 The use of dark and light within the MV is also tastefully done; whenever Mad Clown raps, we never see his face properly – light and shadow disguises it. Was he in the wrong? Is he to blame? Is he ashamed? This vagueness captures the viewers attention and throws in a similar sense of confusion that he must be feeling. We start to question his character, just as much as he is questioning it himself. This feeling is further heightened when Mad Clowns own face merges with the actors. The director’s motives at first seem strange and its purpose eludes us. Mad Clown is shown rapping in to a white oblivion. A crystal clear room reflecting a crystal clear conscience. The Mad Clown we see in this room is a personification of the male leads progression. It represents a man with a clearer judgement. The merging of the two faces, serves to confuse us, but also show us that his struggle between clarity and murkiness is real and is causing him heartache. The poetry of the song is beautiful in the sense it hits the viewer hard, but with grace. The lead “collects memories, [you’ve] scattered around” — shown in the various gold trinkets the MV. The gold rimmed glasses, gold teacups, the golden sunshine hitting his lover’s hair as he draws her all point to how precious he regards these memories. Subtleness is the MV’s stronger point: Mad Clown says “the sound of me letting you go” just as you faintly hear the shutting of a door in the near distance, are all little touches that fill out this MV. Irony is also in full swing; He claims that “It’s better than I expected” when talking about single-dom, but these are placed with images of him either losing his mind or being bored out of it. He feels wronged by the woman, but is smiling between breaking down and convincing her he is fine. The chorus embodies this perfectly; “We broke up at the right time, weren’t so close that we got hurt” whilst the MV shows otherwise. The fact that a female is crooning these thoughts, alludes to the possibility of these being his lover’s final words to him. These exact words have left him teetering on the edge insanity. Overall, this MV does a wonderful job at showing that even the most simple of breakups — the ones where no harsh words are exchanged — have a lasting effect on the two involved. It takes time to come to terms with what has gone wrong, and once ego is ignored the truth of your actions sting. This is the exact same fate of our protagonist, and Mad Clown spits the most realest verses I have heard in a while on the issue. The MV does something more than just show the power of a destructive love, it shows the effect of failing a loved one and truly acknowledging the wrong you commit. For taking the viewer on this journey with such bravery, I give this MV a 4/5.